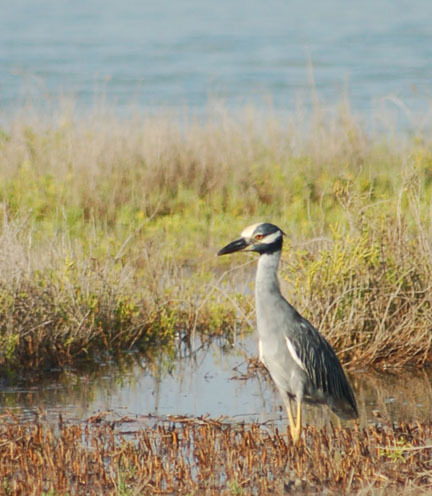 A Yellow-Crowned Night Heron in the marsh at Magic Ridge (between Indian Point and Indianola) on 9/12/09. It was keeping a close eye on this little spot of water. IndianolaTx.com - All rights reservered.